“The rise of the bots” is probably one of the most commonly used phrases in the digital sector. Why bots are becoming more and more popular? How can they impact business? Technology is answering people’s needs and desire to solve problems accelerates technological advance. It forces companies to create more sophisticated solutions and design services, which can increase productivity and enhance customer experience. 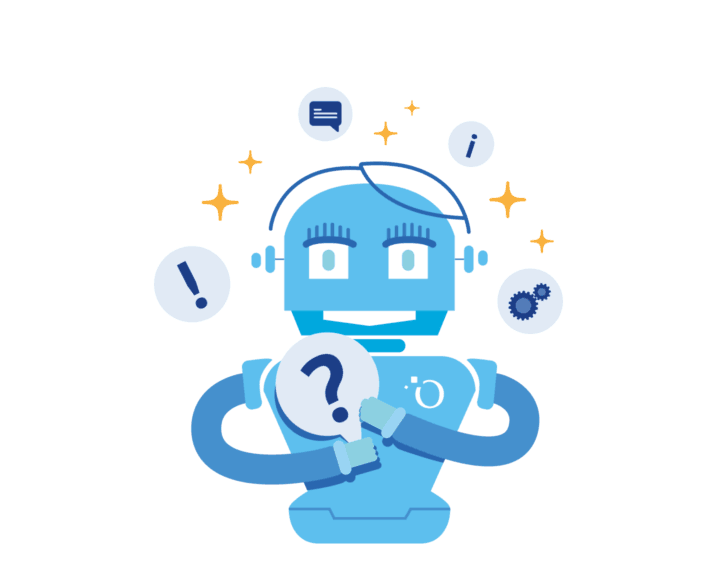 A good example is a chatbot – a conversational interface which can be implemented into variety of tools: a website, Facebook, SMS, Skype and many more. What can a bot do? The first thing which comes to mind is answering frequently asked questions. 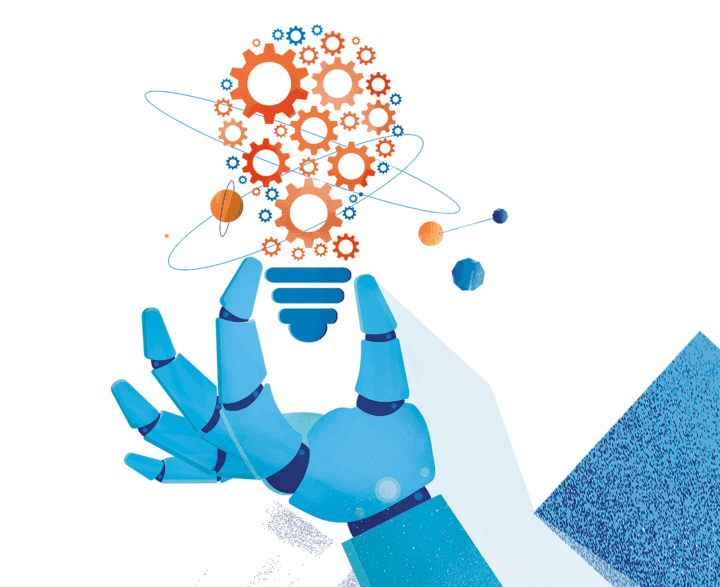 Think about a bot as a digital expert – it can answer reoccurring inquiries, present offers, send appropriate files and connect a client with a human expert if a matter requires more attention. A chatbot is not only a communication tool. If combined with more technologies, it becomes a complex solution to a time-consuming issue. Thanks to robotic process automation, a chatbot can take over many processes, even if they take long and are ineffective. What required a lot of human effort, now can be done in seconds by a combination of a chatbot and process automation. When requested, a bot can fill required forms and migrate files way faster than an employee. Why would you need a chatbot? Imagine going to a bank to ask about one of the accounts it has to offer. You have to be in the branch within working hours. You walk in and there are three bank representatives and six customers. You are the fourth one in the line. Assuming that one representative spends on average 15 minutes with one client, he/she would serve 32 people if working non-stop for 8 hours. Three representatives would serve less than 100 clients per day. If you’re lucky, you will leave the bank after around 30 minutes. But if bank representatives have just started serving first customers, your whole visit can take almost one hour! How many clients can a chatbot serve in 15 minutes? Hundreds? Thousands? What if you could get all the information about a bank account and open it while sitting on your sofa in the evening? Instead of going all the way to the bank and waiting in the line, you could have all the answers immediately. A chatbot can talk to multiple customers at once, it never sleeps and allows your customers to communicate from any place they want. What it means for business? Cost reduction. If a single chatbot can serve thousands of customers in the same time, you don’t need to hire more customer service representatives. It also means less office spaces, less hardware, but more effectiveness. Scaling the business. Using just one chatbot you can serve more customers and lower the cost per transaction. 24/7 operation. A chatbot fills a communication gap between your business and your audience without additional operational costs. Bots can speak any language you need. Your employees don’t have to speak Mandarin, but your bot can be trained to do so. Good attitude towards your customers. Bots never have a bad day, never lose their temper. They are trained to be professional and polite. Employee experience. Automation of processes increases employees’ satisfaction, as they can focus on non-repeatable tasks. Chatbot solutions are made to meet the needs of your business. They can support both internal processes and external customer services. If you’d like to learn more about chatbots and find a solution suitable to your requirements, contact us. A bot can be fed with the information about a bank account for example (cost, requirements etc.). How will a bot learn to actually respond to a customer question, if the question is not asked straight away (like the template said) or in a manner the bot was taught? Example A: what is the monthly cost of this account? Example B: how much do I have to pay and how often? Example C: hwo much doI hav pay montly (errors intended)? What is the user experience? Are users dissatisfied with talking to a machine? Or can a bot be taught to resemble a conversation with an actual human? (machine learning?). In this part of the Cycle, I would like to focus on my experiences with marketing. I mean both promotions through ASO and app-promoting platforms. Previous article.